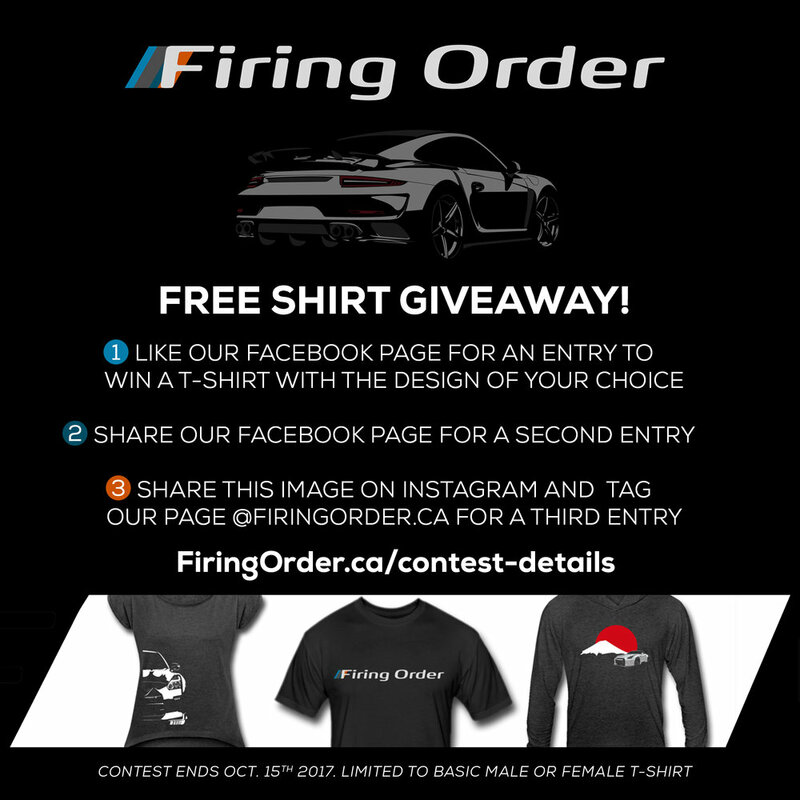 From now until October 15th, 2017, you can enter to win a free shirt from the Firing Order Online Store. Each of the following items automatically enters you into the draw to win a shirt with the design of your choice from the Firing Order online store. On October 15th, 2017, Firing Order staff will compile a list of everyone who has met one or more of the above criteria and select a winner by running the list of entrants through an unbiased contest winner selection tool. The winner will be announced on October 15th on the Firing Order Facebook and Instagram pages. One entry per person on each criteria for a maximum of three entries. Multiple shares/tags will not gain you multiple entries into contest. Instagram tags must be an actual tag on the photo. Mention in caption does not count as an entry.